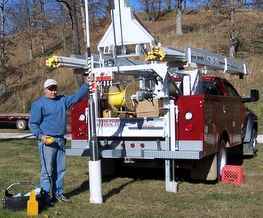 Reid Pump & Well Drilling Service LLC has served the Lake of the Ozarks area for over thirty years. When we tell you we will be there to solve your problems, you can be assured we will be there. We understand our customers needs and strive to serve in a courteous and professional manner. We use proven and dependable American made products from long standing and reputable manufactures and suppliers. We keep a large inventory of parts and supplies on hand and keep trucks well supplied for on the spot service without delays. We Service the entire Lake of the Ozarks area and surrounding Rural Communities. Licensed by the State of Missouri Wellhead Protection Division. Member of the Missouri Water Well Association Inc.